Like all other nutrients, vitamin B12 plays a specific role in our overall health. It is involved in the production and maintenance of red blood cells as well as nerve cells. It helps regulate our metabolism and much more. However, vitamin B12 does much more than just facilitate day-to-day necessities. It can also help prevent major health issues. Insufficient levels of vitamin B12 can cause pregnant women to experience a dangerous nutrient deficiency. And this shortage of B12 doesn’t just affect mom – it also wreaks havoc with her unborn baby too. If mom suffers from a vitamin B12 deficiency, her baby could experience birth defects in the neural tube. This can lead to conditions like spinal bifida and anencephaly (underdeveloped nervous system and brain). Perhaps even more distressing to a sleepless mom is the shortage of myelin cause by a B12 deficiency – baby won’t be able to sleep regularly and prolonged crying is quite normal. If a women hopes to get pregnant, it is recommended she take at least 300mg/L before conception. Once she has discovered the pregnancy, an expectant mom should up her dose to 400mg/L per day. One of the primary responsibilities of vitamin B12 is the development and maintenance of the nervous system. Therefore, it is easy to understand a shortage could lead to irreversible brain damage. Researchers have found that a nutrient cocktail of vitamin B12, B6 and folic acid can reduce brain shrinkage by 90%. However, the required doses are quite high – much higher than the recommended daily intake. As such, most patients opt for vitamin B12 injections (alone or in combination with the other B vitamins). This is good news. By reducing the risk of brain shrinkage, individuals stand a better chance of avoiding Alzheimer’s disease and other forms of dementia. While the nutrient is pretty powerful, vitamin B12 isn’t a miracle worker. It can’t prevent all possible health issues. However, it can significantly reduce the symptoms associated with some of the most common chronic illnesses. Vitamin B12 is an essential nutrient. Adding routine doses of vitamin B12 to your overall health plan could potentially save your life. Vitamin B12 deficiencies are one of the most prevalent nutrient shortages in the United States. It also happens to be one of the most underdiagnosed conditions. Adding some B12 to your day can only help! 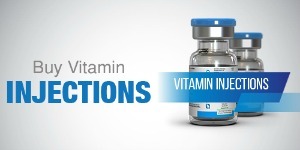 Even if your levels haven’t been severely depleted, vitamin B12 injections can help in ways you never thought possible. Talk to a doctor about the possibilities of starting routine vitamin B12 injections as part of your preventative health plan.